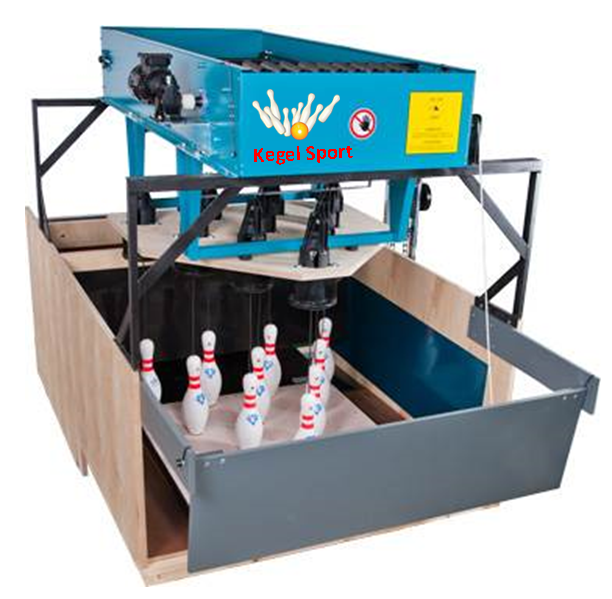 The KEGEL SPORT pinsetter is an example of what our superior technology can offer the operator of any centre, reflecting the experience of a world leading mechanical engineering company. The player expects perfect, incorruptible hits with short set-up times - and should the need arise - a quick and effective, electronically controlled disentangling mechanism. 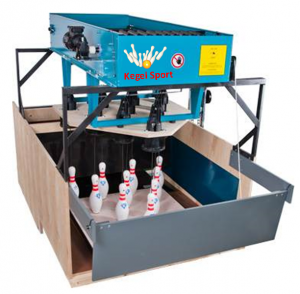 The patented pin-centering mechanism greatly reduces the noise of resetting the pins. These KEGEL SPORT machines are built for an extremely long lifetime. The pinsetter is virtually maintenance free and there is no mechanic required, which is a considerable saving in salaries. We installed the first pinsetters in 2004 and have not had any breakdown ever.